Discover all the cultural, gastronomic and leisure offer of Valencia and take advantage of a trip to the coast with the tourist card of the city. Everything you want at the lowest prices! Whether you want to dedicate your stay to cultural visits or if you prefer days of sun and sea, Valencia Tourist Card offers you the comforts you need so you can do it to your liking. It depends on the traveler. The card includes free admission to 20 attractions and discounts at the city's must-see museums. Cathedral of Valencia (10% discount). Museum of History of Valencia. Enjoy discounts up to 20% on guided tours and discounted price on the tourist bus. Free admission at Casino Cirsa Valencia; also enjoy up to 25% discount on clubs, tours and thermal circuits. Benefit from up to 15% discount in quality bars and restaurants. Do not leave without trying a typical Valencian paella! You will receive discounts and gifts in the main stores of the city. All transport on the bus lines, metro, ABCD tram and airport service (L3, L5) is included in the card. Unlimited! You will also have discounts on intercity buses, electric bike rentals and taxis. 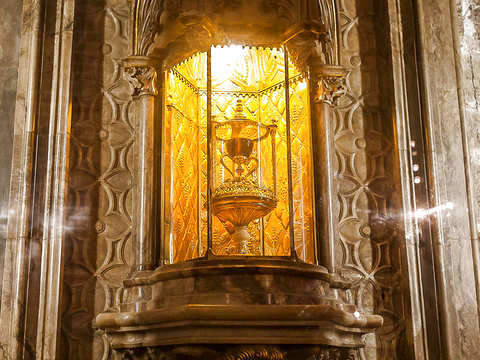 Route the Holy Chalice of Valencia and Bus Tour.